Our mission is to provide an effective private teaching service and support students in their efforts to achieve their academic goals. We also strive to open doors by creating an inspiring environment thus to help each individual to realize their potential to be successful. We believe in that every student has the ability to develop their full intellectual potential. We inspire and support them to reach their maximum potential through their study. Aim setting in study at admission: End of year mark, final exam result, language exam. Creating an Action Plan: based on the aim set, the level of the student, the total number of lessons and the time available for the preparation. Continuous monitoring: the performance of the student is continuously measured by tests in written and in oral. Interim reports are provided for parents’ information. It is a personalized subject teaching that focuses on improving upon individual weaknesses, mastering the material and ensuring a deep powerful understanding. The teaching process is based on an action plan customized for the individual. It is an individual instructional experience, built in and combined with tutoring, that enhance a range of academic skills: analytical, organizational, time management, note taking, creativity, expository expression. 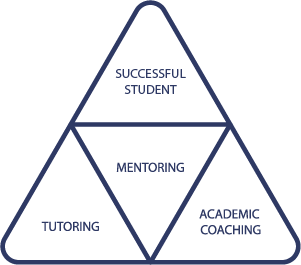 We help students by advising and creating strategies that are tailored to their academic goals and specific situation. We also help in choosing the right universities and colleges and in the university application process. Open Mind Education Center was funded in 2013 with the aim of challanging and inspiring students in reaching their full potential by a goal-oriented private education. We place special emphasis on supporting students to be admitted to top universities in the world and achieving academic excellence. We prepare our students to set and reach their goals and prepare them for a productive and successful career. A lot of student attending to us from the international schools – American International School of Budapest (AISB), British International School of Budapest (BISB), SEK, Britannica, Greater Grace International School (GGIS) – and other high-ranked Hungarian high schools and primary schools. We are specialized in IB Diploma preparation for students in Grade 11-12. After the successful start the number of students attending to our Education Center has tripled which is still growing.